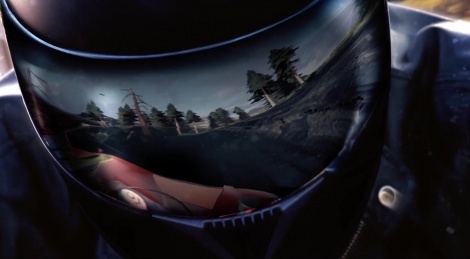 The motorbike racing game from Microïds Moto Racer 4 gets its first trailer and the publisher reveals the game is compatible with the PlayStation VR headset. The game will launch on October 13. PARIS - JUNE 9, 2016 – Microids today announced that its upcoming motorbike racing game, Moto Racer 4, will be compatible with the PlayStation® VR virtual reality headset from Sony, allowing PlayStation racers to take to road and dirt tracks in immersive virtual reality. In a first teaser video, the game can be seen in action, showing the game’s stunning graphical quality using Unreal Engine 4 with single and multiplayer racing modes on both road and dirt tracks. The return of the cult arcade motorbike racing series that has sold over seven million units worldwide is set for October 13, 2016, on PlayStation 4, Xbox One, PC and Mac. With over seven million units sold and critical acclaim both in the specialist press and among gamers, the original "Moto Racer" trilogy has left an indelible mark on the history of video games. Developed by Delphine Software, one of the great studios of the 1990s and 2000s, it is still synonymous with extreme gaming pleasure and fierce multiplayer contests for many players. Moto Racer 4 is scheduled to launch on October 13, 2016 on PlayStation 4, Xbox One, PC and Mac, available in English, French, German, Spanish and Italian. The game will be presented to the media alongside other Microid titles at E3, the world’s largest videogame expo, in Los Angeles from June 14-16, 2016 in the Concourse Hall, meeting room 8608. Interested media are encouraged to schedule an appointment or drop by to see the game in person. Find Moto Racer 4 on Steam at http://store.steampowered.com/app/41743. Wow, a new Moto Racer huh? I can remember testing my first "3D Accelerator Card" (a Voodoo 3 2000) with Moto Racer 2 years ago. Wonder when EA lost or gave up this franchise? All we nee now is that Road Rash revitalization we've all been waiting for!